Managed IT Services, Managed Support - Bensalem, Philadelphia, Bristol | MTG, Inc. IT can be complicated, especially if you are not a seasoned professional. MTG Managed is a simple way of managing your organization's technology. This offering will allow MTG to better serve you by becoming more proactive with your existing network, server infrastructure and desktop environment. MTG Managed will bring added security and monitoring capabilities to all networked and mobile devices. It will allow MTG to give your organization the ability to manage its IT budget more effectively, and plan for future purchases well in advance. 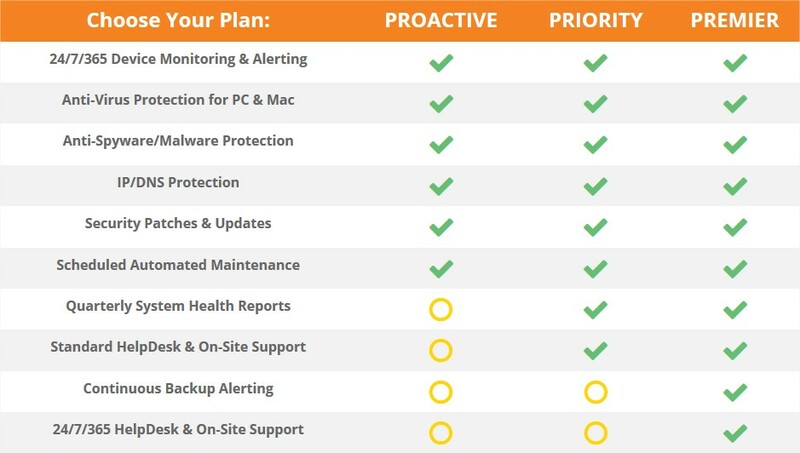 Most importantly, it will ensure your IT keeps running efficiently. MTG’s Managed Support is designed to relieve the burden of regular IT maintenance and put your focus back where it belongs, serving your customers.